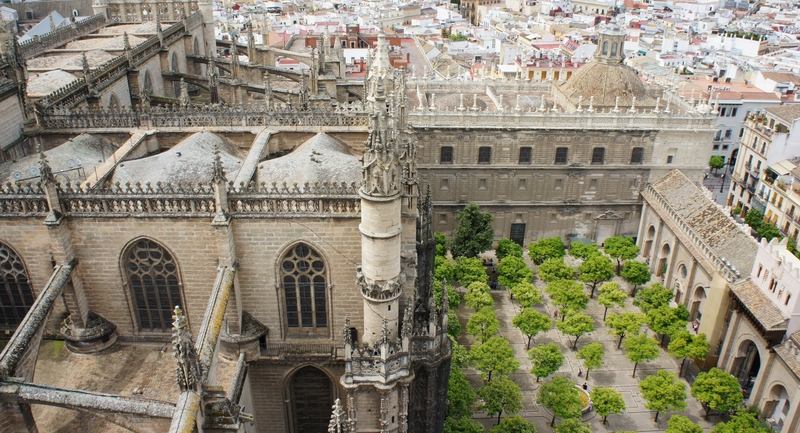 When spending a night in Sevilla seems old hat, you know you’re spoiled. 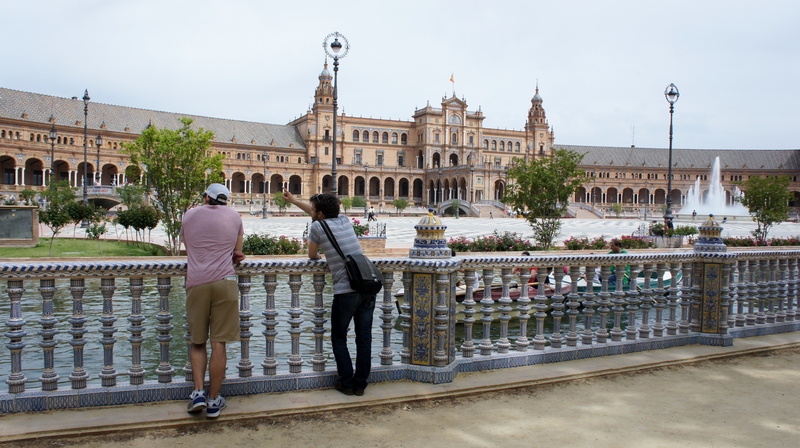 While living in Huelva last year, going to Sevilla somehow became part of the travel “routine”, just a necessary stop to catch a plane or a train onto the next destination. 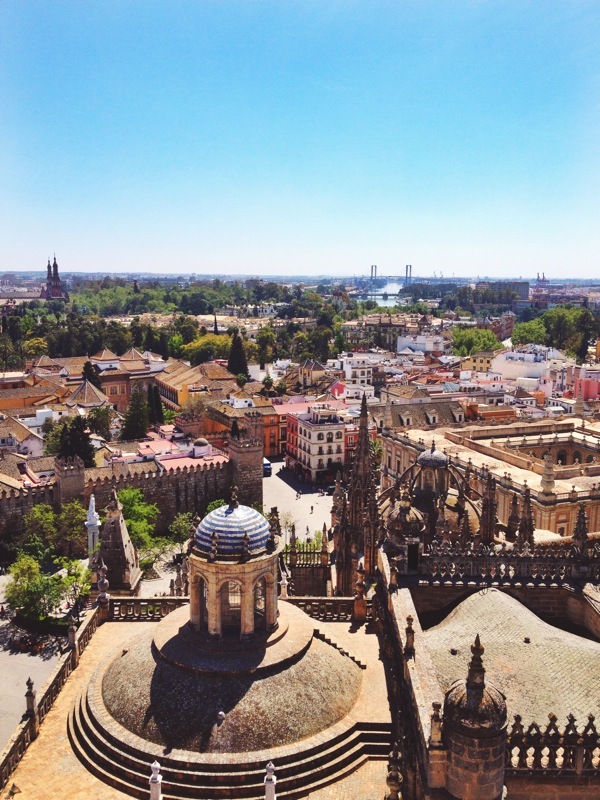 But, of course, Sevilla never gets old. Even the city’s oldest landmarks can fill you with awe, whether it’s your first or fifth time strolling by. 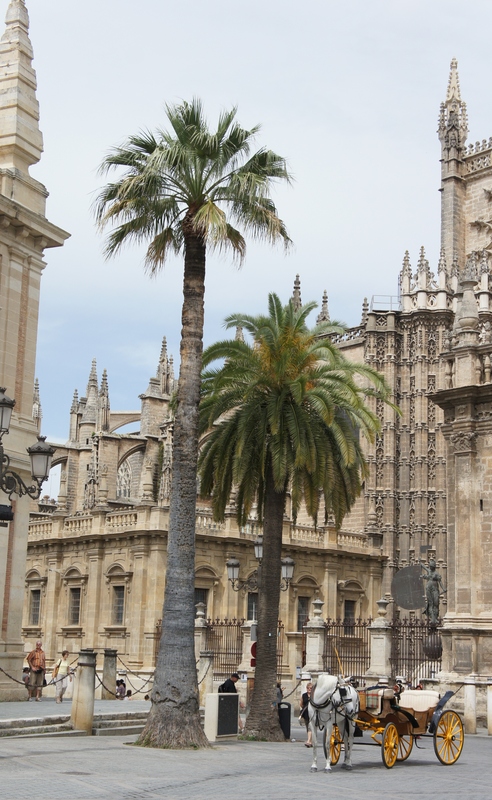 The city is small enough that you can get around on foot all day–soak up the sun and the culture while working up an appetite to stop for tapas and cold drinks along the cobblestoned streets. My friend Matt, an excellent guide, took me to some of the tastiest places I’ve been to in the Andalusian capital. Ovejas Negras, not far from the tourist centre but full of locals, has great food with twists on traditions, and an atmosphere to match. 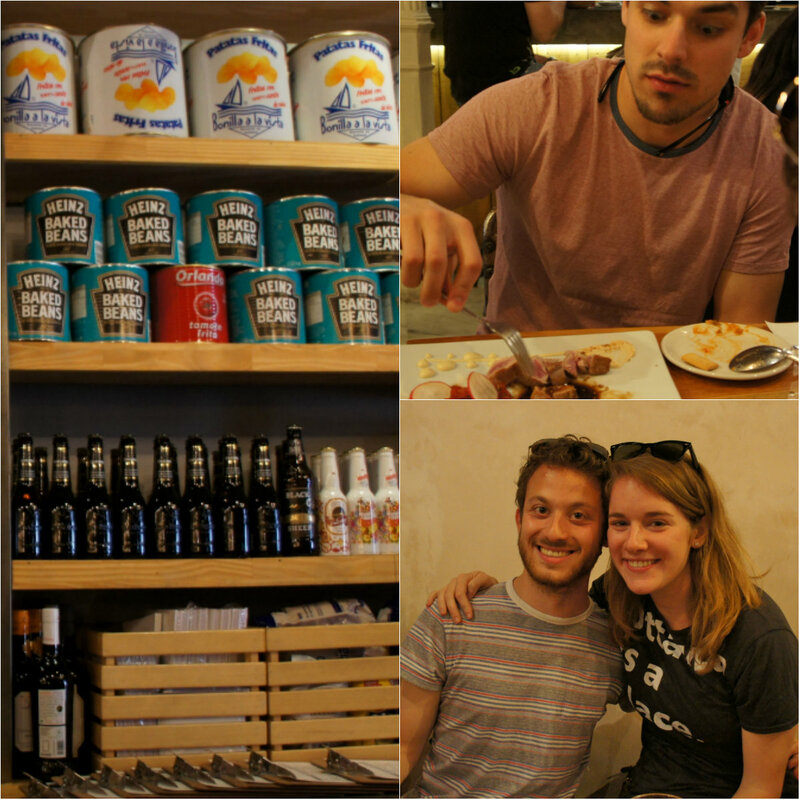 We tried a good amount of the tapas on their menu; each one left us wanting more. 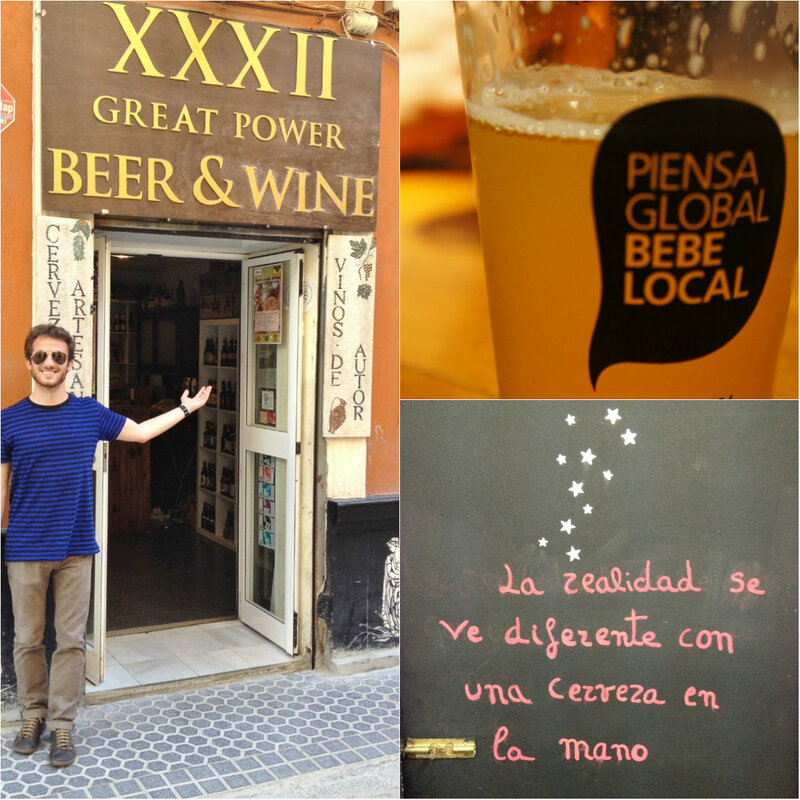 We got tipsy at The Great Power of Beer and Wine, the first place I’d been to in Andalucía with craft beer. Run by a personable Italian, the bar’s name is a play on the name of the street it’s found on, “Jesús del Gran Poder”, which translates to “the great power of Jesus Christ”. I was amused, but maybe the beer helped. Another great little cervecería find was Lupulópolis Beer Shop, where local and international brews are served just steps away from Las Setas, arguably the city’s most controversial landmark (and one of my favourite spots for a different view of the city). 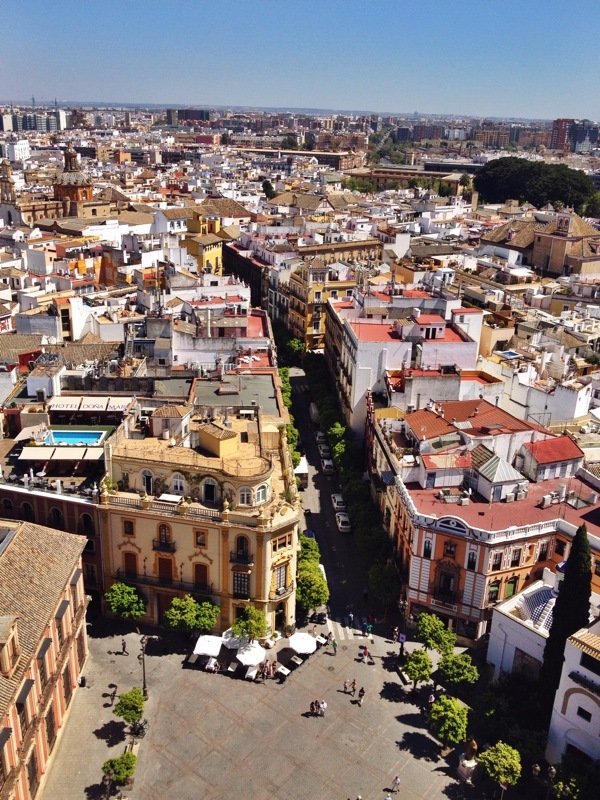 During my five days in Andalucía, I found myself back in Sevilla three times. 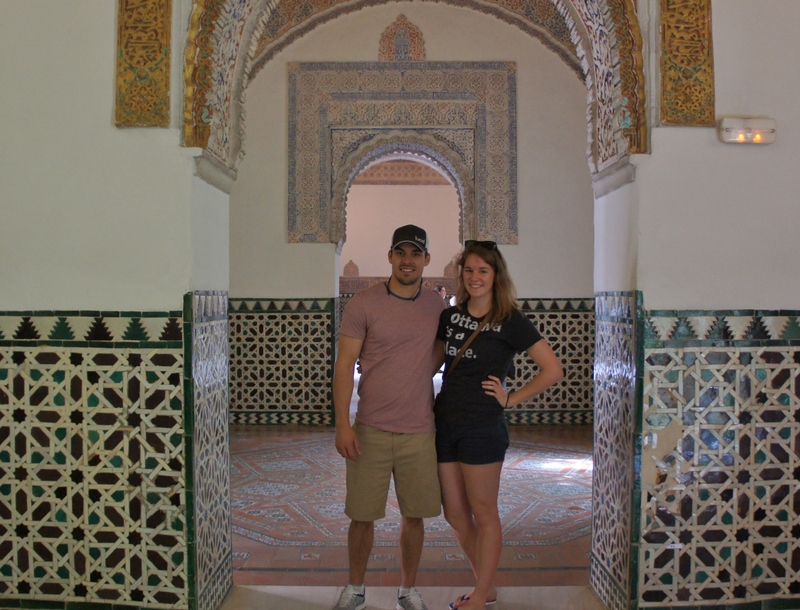 The second time I went I got to play tour guide for a little bit with my girlfriend’s cousin & fellow Canuck– Pier-Olivier will forever have a claim to fame in my travel tales as the guy who spotted Sir Patrick Stewart in the Alcazar. I doubted his celebrity sighting at first, but we stealthily followed Captain Picard under the Alcazar’s arches until we could confirm it was him. Neither of us was brave enough to approach him (should we have shouted “Make it so”? ); although he was wearing his Montreal Canadiens cap, so we wasted such an easy conversation starter! Next time. 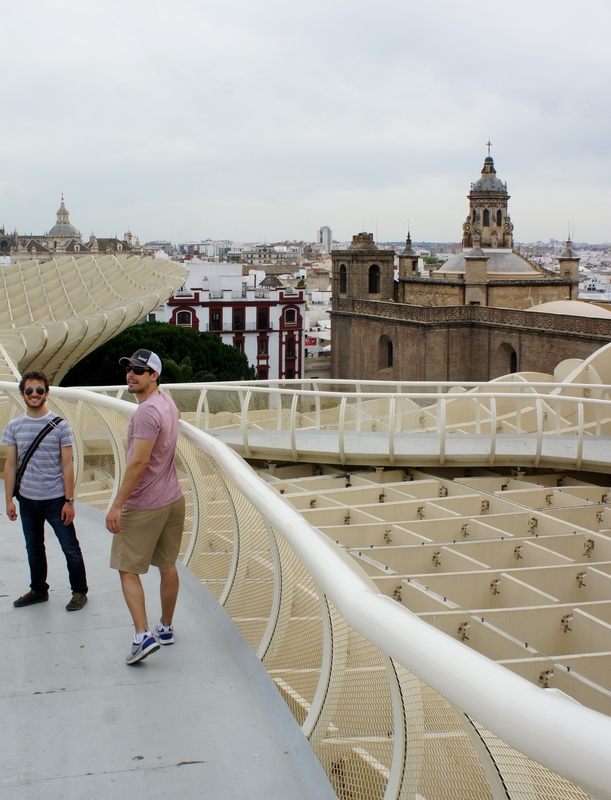 From the stunning architecture and beautiful tile work on every street, to the vino that flows (cheaply) from the old town to the hipster-ish Alameda, there is always something worth returning for in Sevilla. Not least of all, of course, is the food. 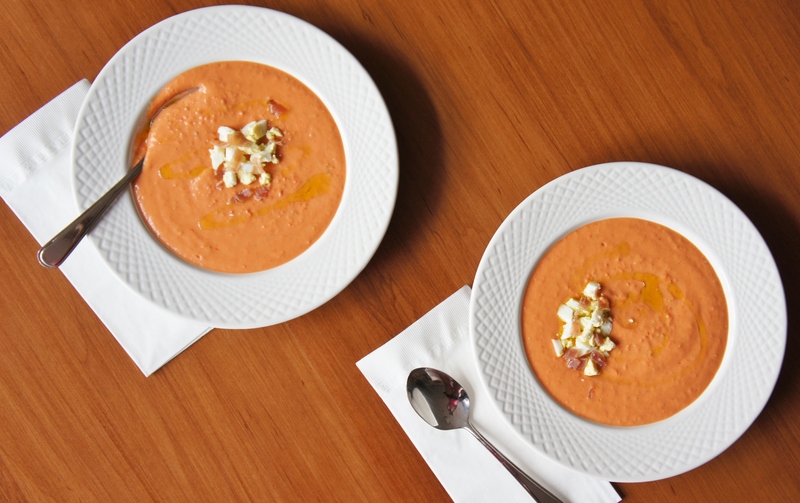 Salmorejo might be one of my very favourite foods that I discovered while living in Andalucía. It is a typical Spanish dish that comes from Cordoba, but is a mainstay on menus all over Andalucía. Matt, Pier and I split a bowl at Ovejas Negras – I’m not sure I’ve seen spoons licked so clean. And when my twin visited me in Spain last year, I think he ordered it in every restaurant we found ourselves in, from Huelva to Madrid. All that to say that this cold soup is a crowd pleaser and can be thrown together real quick for a fiesta; I’ve made it several times for friends and family at home. Just because I can’t always jaunt off to Sevilla doesn’t mean that it can’t taste like it! Variations on salmorejo all over Spain. Put the bread in a food processor and process it into fine crumbs. Pour into a serving bowl. Cut the tomatoes into quarters and remove the hard white bits at the stem ends. Blend in the food processor until the peel shows only as tiny specks of red in the pink cream. Add the rest of the ingredients except the bread crumbs, tasting to decide how much garlic and vinegar you want, and blend well. Add the bread crumbs and mix well. Refrigerate until chilled. Serve in bowls, garnished with a sprinkling of the olive oil and the chopped eggs and ham. This entry was posted in Food, Glorious Food!, Nutritious & Delicious, Spain, Travel and tagged Andalucia, eating in Seville, salmorejo, Seville, Spanish beer by kshap. Bookmark the permalink. Claudia Roden is amazing. I have used many of her Middle Eastern recipes. She is! I have her Jewish cookbook as well– I love the way she researches and writes about the recipes.